This view of Mile Oak was taken in the mid 1930’s and was taken from the south of Chalky Road looking north. Beechers Road is to the left, Stanley Avenue to the right. 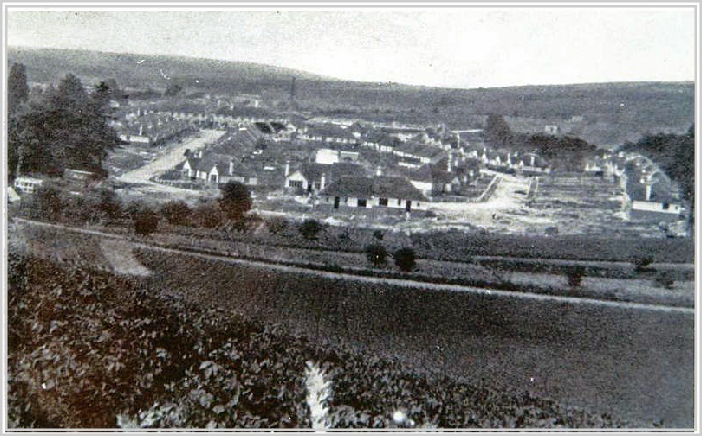 The houses are shown in Sefton Road and in the distance the waterworks chimney. None of the roads have been made up at this time. 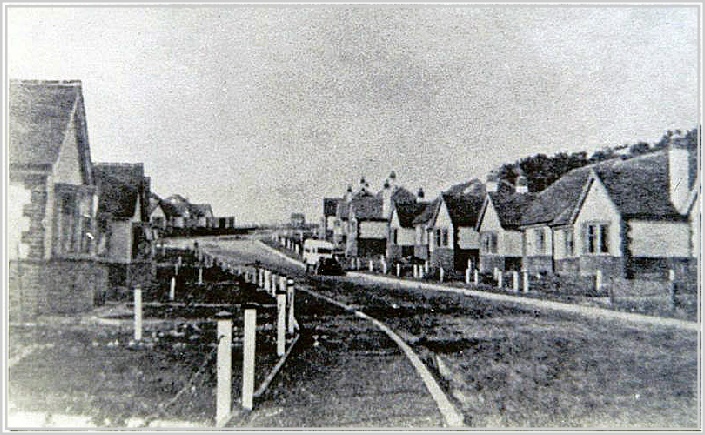 This view looking north up Stanley Avenue was also taken in the mid 1930’s. This picture was taken from approximately opposite the church (Tin Hut). The last bungalow on the left in the distance was occupied by Miss Palmer for many years. All these bungalows were built on the Paddocks estate. Chrisdory Road had not been constructed at this time.